Popjes Shop: OOAK Art Doll Lottie Teddy. OOAK Art Doll Lottie Teddy. 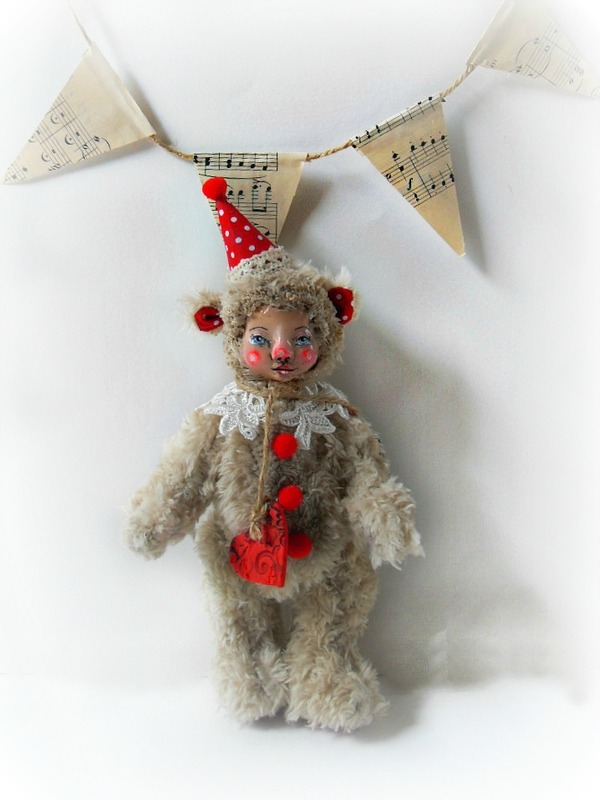 Lottie Teddy escaped from the circus and is looking for a new home.Would you give her a home? 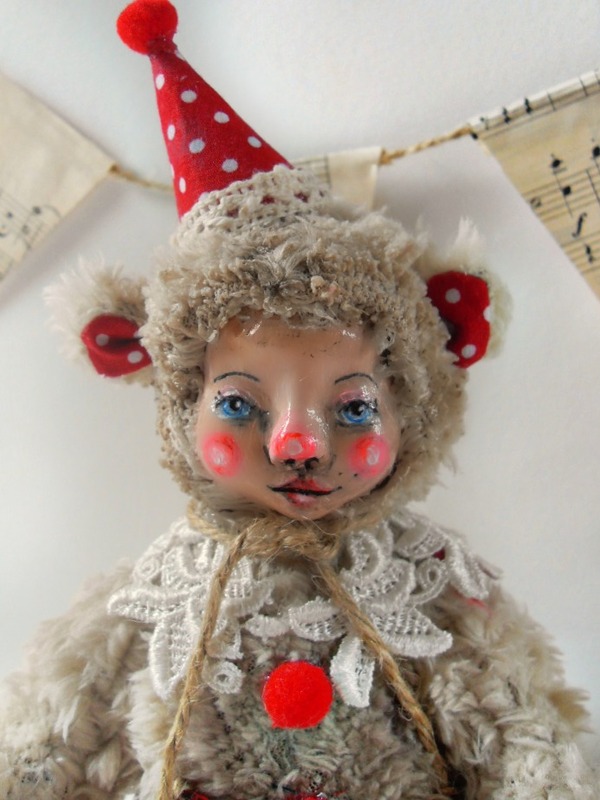 Lottie Teddy is a soft bodied Art doll with a paper clay face. She measures 28cm tall including hat. Due to small parts not suitable for small children.